One thing is for certain, the boys absolutely love the snow!! They have acclimated better to the snow and cold than I have living in the Midwest 30 years! A few of their favorites in addition to the snow are cars and trucks, Curious George and books about Jesus. Most requested at mealtime is chicken, rice with shito, eggs and shrimp. Biscuits (animal crackers), milo, tea and bananas are the usual snack of choice. 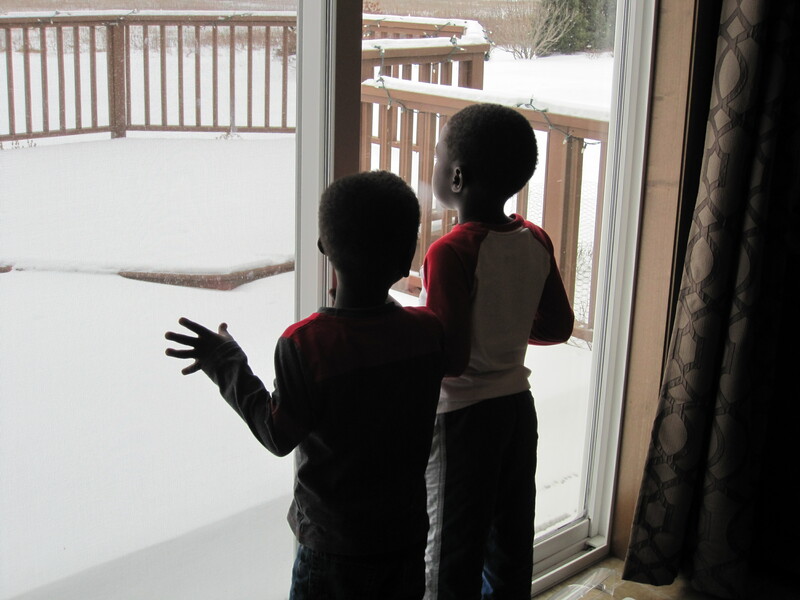 glad they are liking the snow.it must be such fun to see them experience all these new things with the eyes of excitement from a child’s eyes. Look at those smiles!!! So beautiful!! 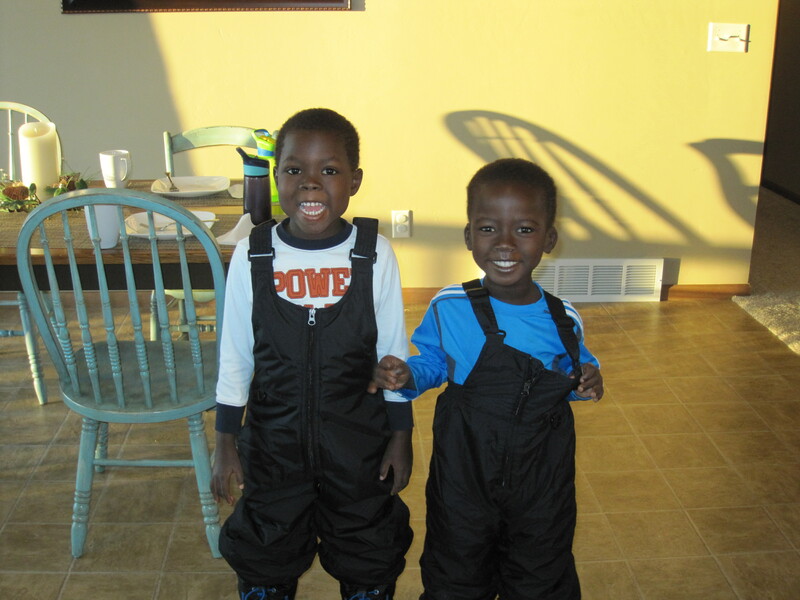 What a wonderful update – how fun that the boys love the snow! Continued blessings! Makes my heart so happy!!!! Good job mom.